1 . 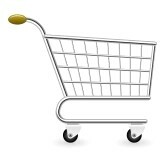 Select product you would like to buy and click “Add to Cart” button. You can adjust the quantity as needed. We ship items to worldwide. The default shipping will be standard shipping via registered airmail unless customers request for express delivery which the shipping charge would be higher than regular depended on actual weight and destination country. For express delivery, please click here to contact us before placing order. Non refundable for the goods that held by customs which can’t be released.